For individuals with lymphoedema, it's vital that there is an easy and effective way to reduce swelling and keep lymph nodes drained of fluid which isn't overly invasive. The BiaCare ChipSleeve 15 - 25 mmHg Graduated Compression Arm Sleeve utilises directional channels to provide an incredibly efficient and comfortable way to reduce and prevent swelling caused by lymphoedema. 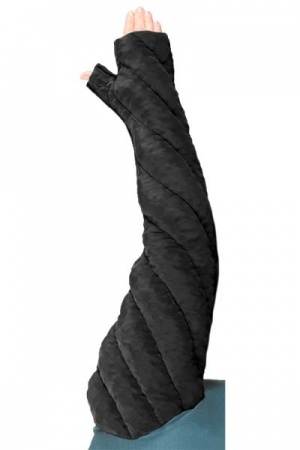 By utilising a series of directional channels along the length of the arm sleeve, the ChipSleeve can efficiently drain lymphs. This helps to prevent and reduce swelling much more efficiently than other compression sleeves, helping you to get the most from your arm sleeve. A series of open cell foam chips along the arm sleeve massage superficial lymphatic vessels. This encourages the vessels to drain even faster, helping move fluid out of the arm even more efficiently. To ensures arms are as comfortable as possible, the fabric features moisture wicking and odour control properties. This helps arms to feel comfortable and fresh for longer. Additionally, a black oversleeve and pair of cotton liners are included. 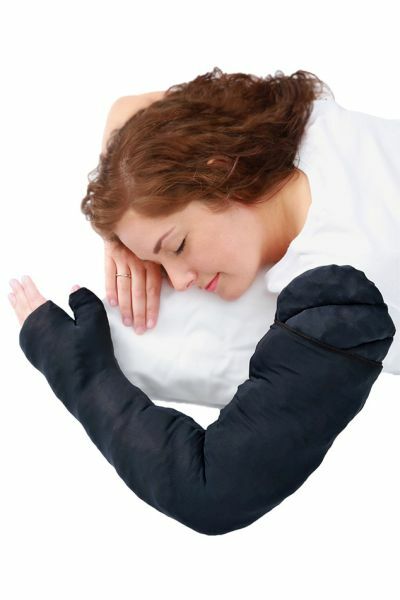 This helps arms to feel comfortable while the ChipSleeve is working, helping encourage wearers to keep wearing it. The BiaCare ChipSleeve 15 - 25 mmHg Graduated Compression Arm Sleeve is available in five different sizes and three different lengths for the left and right leg. With the intended wearer seated, place the arm extended and elbow bent slightly with the palm down on a flat surface. Follow the contour of the arm by placing the measuring tape against the skin. 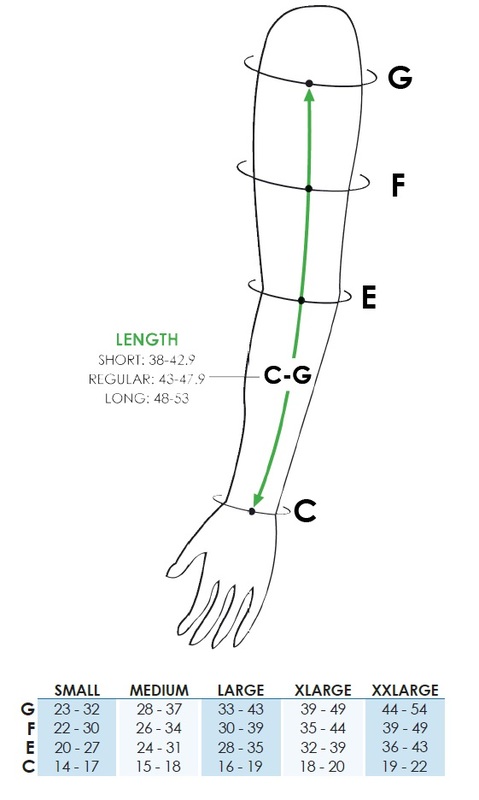 Using the diagram below, measure the length of the arm from points C to G, and measure the circumference of the arm at points C, E, F and G. Match the results up to the table for find the perfect size. BiaCare ChipSleeve 15 - 25 mmHg Graduated Compression Arm Sleeve are non-returnable and non-refundable on grounds of hygiene.